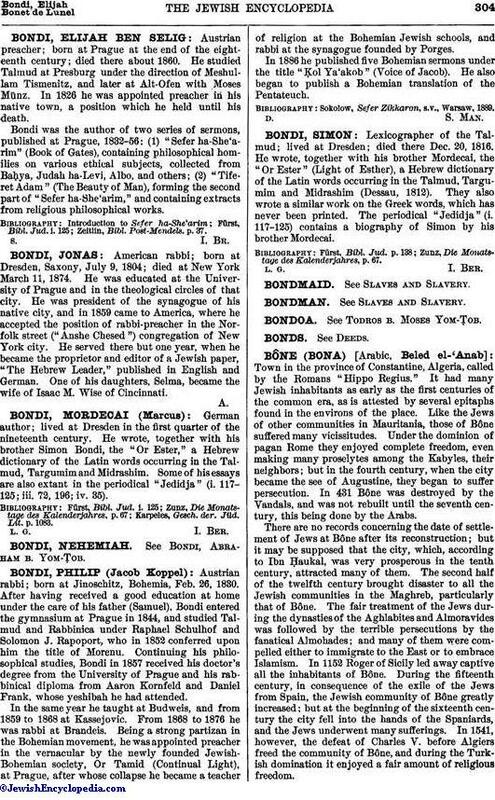 Lexicographer of the Talmud; lived at Dresden; died there Dec. 20, 1816. He wrote, together with his brother Mordecai, the "Or Ester" (Light of Esther), a Hebrew dictionary of the Latin words occurring in the Talmud, Targumim and Midrashim (Dessau, 1812). They also wrote a similar work on the Greek words, which has never been printed. The periodical "Jedidja" (i. 117-125) contains a biography of Simon by his brother Mordecai. Zunz, Die Monatstage des Kalenderjahres, p. 67.